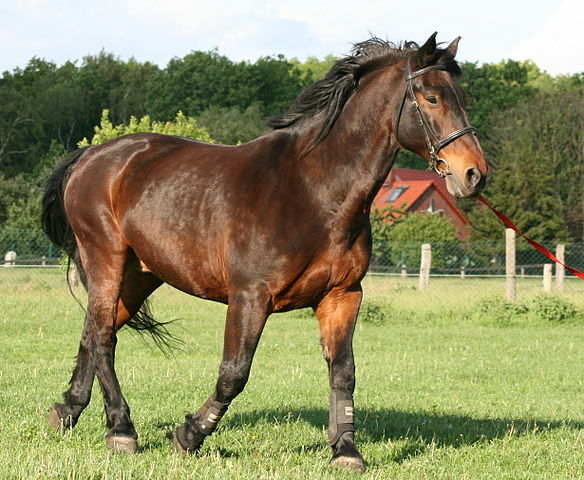 The Latvian Horse, also known as Latviiskaya, is a breed of robust, all-purpose horses from Latvia developed at the beginning of the twentieth century. 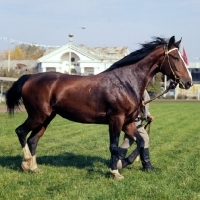 The breed is commonly distinguished into two types – the harness type and the saddle type; although, the modern Latvian horses have a combination of the characteristics of both the harness and saddle types. 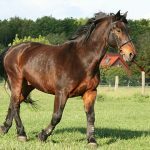 The Latvian horse breed was first developed back in 1856, when local horses from Latvia were crossed with western European harness-type horses including the Hanoverian, Holstein, and Oldenburg. Since a planned breeding program was followed, over 100 Oldenburg horses including 42 mares and 65 stallions were brought from the Netherlands and Germany during 1920-1941. In addition to these purebred horses, Ardennes, Norfolk Roadster, East Friesians, and Hanoverians were included in the breeding stock. 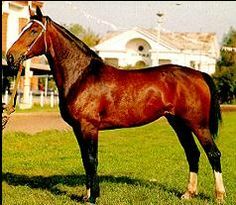 In 1927, a breed registry was established while the Latvian horse received official recognition in 1952. 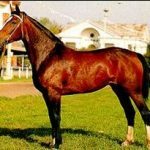 Previously, the harness-type Latvians were predominant; but after 1960, development of equestrian sports in Latvia led to the increased demand for sport-type Latvian horses, which were produced by mixing Hanoverian, Arabian, and Thoroughbred blood. 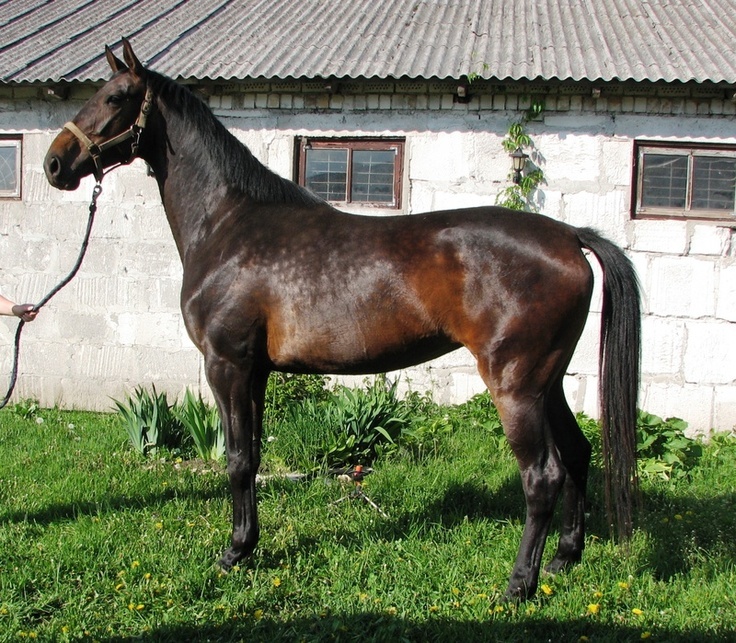 Improved by limited crossing and pure breeding, the Latvian horses are now produced mainly at the Burnieke state farm, Sigulda experimental farm, and the collective farms of Uzvere and Tervete.